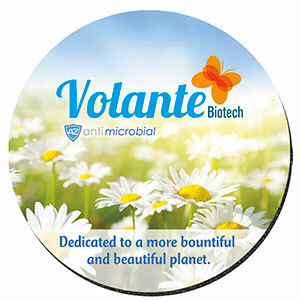 *An antimicrobial preservative incorporated into the mouse pad fabric protecting it by suppressing growth of bacteria, fungi and house dust mites. 4-Color Process (4CP): Price includes a FREE 4-color process imprint on a white surface. To add a FREE stock background, please be sure to specify the background name on your order. Full bleeds available.